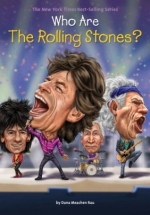 This month's book club will be reading Who are the Rolling Stones? We will be making our very own lip-syncing videos!! Capacity: 11 of 15 spaces available.